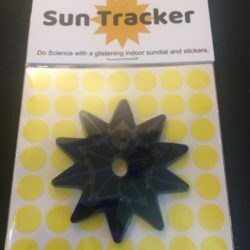 The Star Spot is “The World’s Simplest Observatory.”™ It’s a great science gift. They say you should find your own North Star. That’s great advice… but, only if you know how to find it! The Star Spot helps you find the North Star. No telescope? No problem. Use this simple tool to see large scale star motion. Use the Star Spot to learn about the sky – tonight! – right where you live. The Star Spot is guaranteed to form the basis of a lifetime of sky learning. Place it outside and let it help you grow your knowledge of the sky. 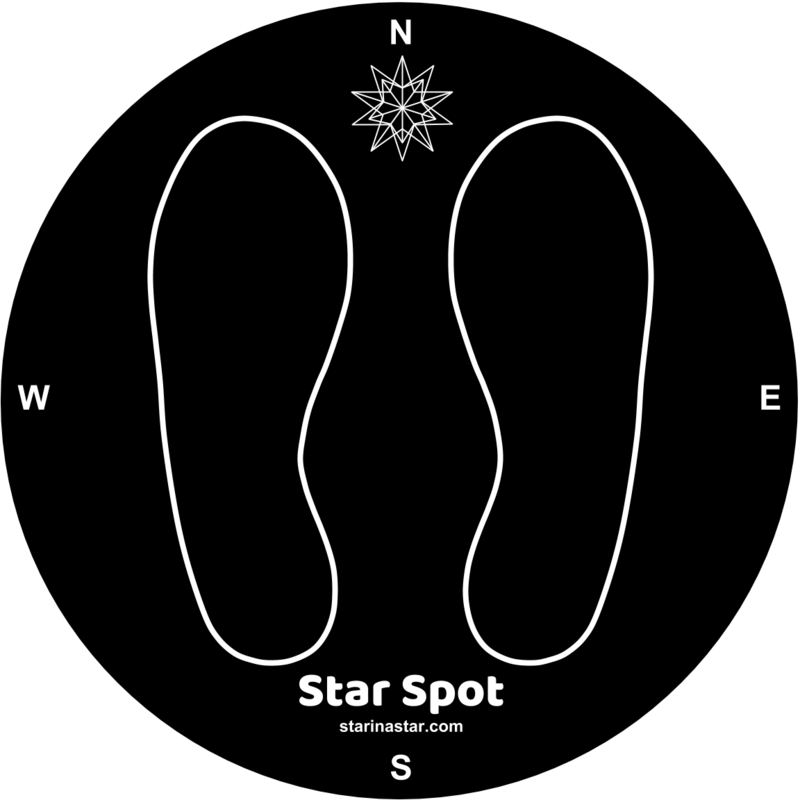 Once you have the Star Spot you will want to choose a good place for it – Find a spot outside facing north where you can see the sky at night. Once you have placed the Star Spot you will always be able to find the North Star. Find a place with a clear view of the north sky. This is easy in the wintertime. In the summer, you might have to look through some leaves. Find the North Star (aka Polaris, the pole star). 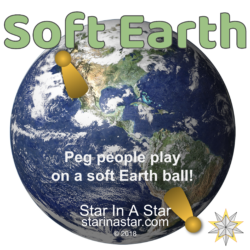 The easiest way is by using the pointer stars of the Big Dipper. These are the two stars on the outer edge of the Big Dipper’s cup. They point to the North Star. Many free smartphone apps can help you find stars. Go to your App Store and search “find stars” and download one. SkyGuide, NightSky, and StarWalk are a few free ones. Now you have found the North Star, look northward for a suitable “sighting line” – this could be a telephone pole, a tree, a chimney, the edge of a building, a rock, a steeple, even a stick placed in the ground. The sighting line should be lower than the North Star. Walk around until you line up the North Star with the “sighting line” – the sighting line should be “pointing up at” the North Star. Place the Star Spot on the ground at this point. Wear and tear – This is an outdoor floor sticker that can be placed anywhere outside. 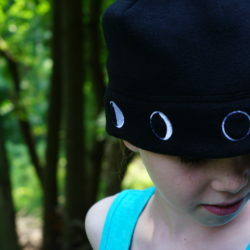 The Star Spot is weather-proof and scuff-proof! Use the Star Spot to learn about the sky – tonight! – right where you live. The Star Spot will form the basis of a lifetime of sky learning.